Change management is an essential skill for today’s channel partners to succeed, not just in Asia, but globally, as new distributive technologies come onto the market, and more providers embrace intelligent automation to alleviate resource constraints such as the availability of skilled labour and tightening budgets. Furthermore, according to Andrew Tan, the managing director of Jardine OneSolution (JOS) Singapore, providers have a significant role to play in helping to dispel prevalent myths around technology investment, such as low return on investment (ROI) and that automation will replace jobs. “It is important to remember that small investments and steps made in technology will result in a big payoff in the long run,” said Tan, speaking exclusively to Channel Asia. “Given the talent crunch in the IT sector not just in Asia but across the world, there is also an increased demand for technologies such as automation to help to alleviate workloads of understaffed or overworked business units." However, while technology disruption can be challenging to partners, it also presents opportunities to win clients, offering the chance to guide organisations through change management processes. These may include breaking down walls that impede data sharing across an organisation, and furthermore, by clearly articulating the business benefits of digital initiatives. A successful technology provider, said Tan, is one who is “able to fully understand customer business challenges". “Technology providers should also be able to customise solutions for customers that address their specific pain points, instead of just providing them a run-of-the-mill, one size fits all solution,” he added. Tan emphasised that JOS is doing more than just paying lip service to change management, but actually puts its beliefs into practice through its own business operations. “As an organisation, we have gone through the process of change management ourselves,” said Tan. “We worked to overcome the apprehension from employees when we deployed robotic process automation (RPA) within our finance and operations to improve business processes. “The management team held open discussions with employees and reiterated to them that they would be trained in higher value job functions such as analytics,” added Tan, detailing his own experience with change management. JOS looks to invest further into the mid-market segment throughout 2019, according to Tan who sees significant opportunities to widen the firm’s footprint across various sections that are seeing increased demand for technology adoption, such as retail and hospitality. “We also want to push on from our results in 2018, and seek to increase our revenues and profits,” Tan emphasised. “This year, we are seeing the need for more “traditional” sectors like hospitality to digitise their processes and operations in order to stay relevant and competitive in today’s increasingly challenging business landscape. “JOS’s unique value proposition is that we are flexible and nimble enough to cater to a variety of clients with differing budgets, needs and pain points that need addressing. On top of that, we have deep roots in Asia - we understand the market and the landscape, having had a presence in the region since the 1950s." From the customers perspective, Tan sees a rising trend in security investments due to the recent large scale data breaches, such as the SingHealth data breach in Singapore, and the rising cyber threat level, particularly in Asia, which has increasingly become a target for hackers. Analytics has also grown in importance amongst customers, disclosed Tan, as firms want to derive insights from the wealth of customer data available to them. “Analysing this data would help organisations deliver better, more tailored products and services to their customers,” Tan said. In addition to this, automation technologies, such as robotic process automation (RPA) is increasingly beginning to take over more granular tasks and streamline business processes, as investments grow. “All these various priorities of our customers signal a shift into increasing the focus on providing a better, more intuitive customer experience by better understanding their customers’ needs, wants and pain points,” said Tan. “We also see our customers allocating larger portions of their budget to business users rather than IT users, as they continue to see more requests come from that particular segment." Furthermore, customers are also increasingly spending more on their expansion efforts, according to Tan, and entries to new markets that will give them access to new, potentially untapped customer bases. “Lastly, our customers are also keen to ensure their business sustainability amidst fierce competition,” said Tan. The demand for cloud technology continues to increase for the provider, according to Tan, with both the small and medium-sized enterprise (SME) and mid-market adoption increasing. Furthermore, adoption rates have been spurred on by solutions becoming more affordable and widely available. “Cloud technology also offers companies more flexibility and agility by allowing employees to work on-the-go and make edits on documents, empowering them with real time teamwork without compromising on reliability or security,” added Tan. Technologies that aid in the digitisation agenda, such as artificial intelligence (AI), big data and analytics, and RPA are also rapidly gaining momentum in Singapore and the region as businesses are looking to stay ahead of the technology curve. 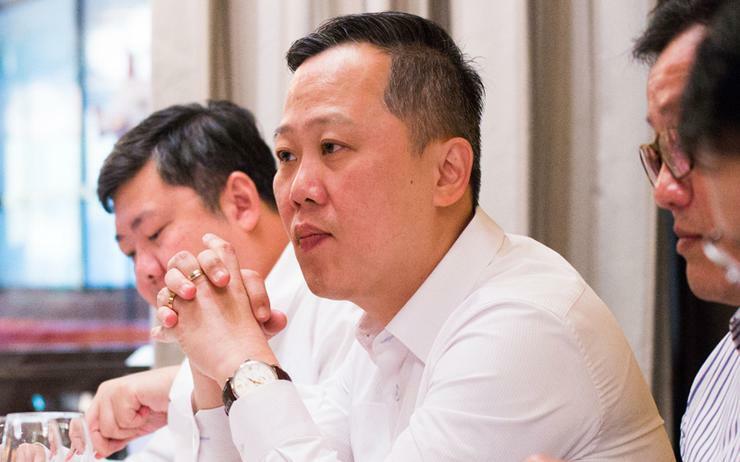 “We also see our customers enquiring about content and business process management functions, market segments that are seeing strong traction,” said Tan. However, businesses have a few barriers to overcome before they can reap the benefits of technology in the workplace, including budget constraints, overcoming legacy infrastructure and sometimes a lack of visibility across the end-user experience. “The most important challenge to overcome,” said Tan, “is being willing to accept short-term disruption, and focus on renewing business processes in return for long-term benefits. “Small steps made to embrace technology today will result in big results in the future. Cultivating an environment more receptive of digital innovation will bring benefits such as improved experiences for stakeholders, and talent attraction and retention in the long run." Another challenge, according to Tan, and one that has been around for the better part of the last few years is talent acquisition and retention. “There is extremely fierce competition amongst IT companies for a limited pool of skilled IT talent,” said Tan. “Moreover, companies with a pool of skilled IT talent face challenges in keeping and retaining them. “Lastly, rising geopolitical tensions and the threat of a full-blown trade war will be a growing cause for concern, especially for investors and businesses with operations and stakes in affected markets." Technology is key enabler of a successful business strategy, enabling organisations to do more with limited resources and budgets. “Technological innovation can also result in new business opportunities and resultantly, new streams of revenue,” said Tan. “Technology also creates additional touch points between companies and their customers, allowing them to better understand their customers and better cater to their needs. Tan sees technology acting to empower employees to upskill themselves and leverage new innovations such as AI and analytics, enabling them to take on more value-added tasks and in turn help them to stay relevant in today’s business environment. As mentioned, there is an increasing focus on data security as a number of high-profile attacks increased in 2018, with such attacks becoming more severe, especially as data becomes more valuable, and stakes increase. “There is a need to continue improving the reliability and security of infrastructure since companies are migrating increasing amounts of data to the cloud,” said Tan. “Security must be agile and predictive, to mitigate risks to data centres and the cloud. “Technology providers and vendors will also have to be wary of competitors from other markets with similar offerings at more conservative price points. "They must strive to maintain their quality and offer more value, as compared to firms who seek to slash prices to win customers, a move that often comes at the price of impacted quality and sub-par service standards." Furthermore, as the adoption of technologies such as the Internet of Things (IoT) increase in industries as diverse as shipping and retail, so to will the security risks as the potential attack surface increases. To improve business outcomes, Tan emphasised the importance of vendors to build rapport with clients and be able to provide customised solutions for customers. “In an age where the customer is king and their experience can make or break a firm, vendors should strive to deliver clutter-free and intuitive interfaces to their customers that optimise their user experience and compel them to continue soliciting their services,” said Tan. He elaborated that in order to ease transitions between systems and address and issues that user may face, vendors should provide after sales support such as staff training and technical support. “This will show customers that the technology providers are earnest and willing to improve businesses and processes in the long run,” added Tan. As a regional system integrator, with offices in Singapore, Hong Kong, Macau, China, and Malaysia, JOS employees over 2,000 IT professionals working from nine regional offices. Furthermore, the firm has more than 10,000 private and public sector customers in Asia, and core capabilities in artificial intelligence, big data, cloud computing, enterprise applications, enterprise security, IoT, mobility and next generation infrastructure.